The Cosmetic Packaging Market is segmented by Material (Plastic, Glass, Metal), Product Type (Droppers, Cap and Closure, Sticks), Cosmetic Type (Skin Care, Hair Care, Nail Care), and Region. The global cosmetic packaging market was valued at USD 27.87 billion in 2018 and is expected to reach about USD 35.7 billion by 2024, recording a CAGR of 4.3% over the forecast period (2019-2024). 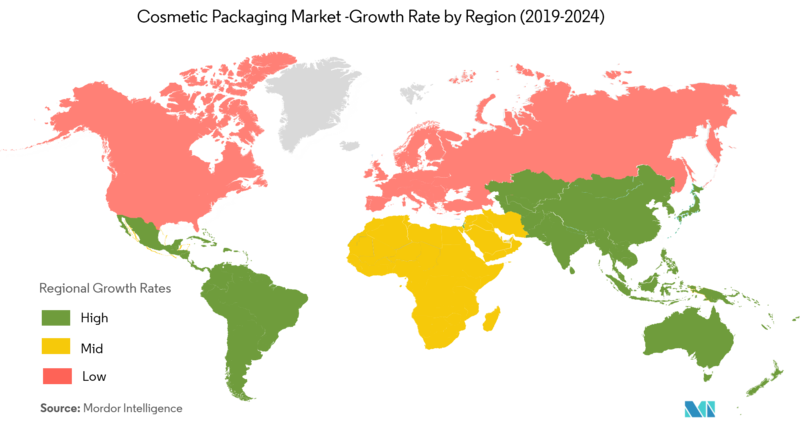 The market studied is mainly dependent on the global cosmetic products market, and is subjected to similar dynamics. 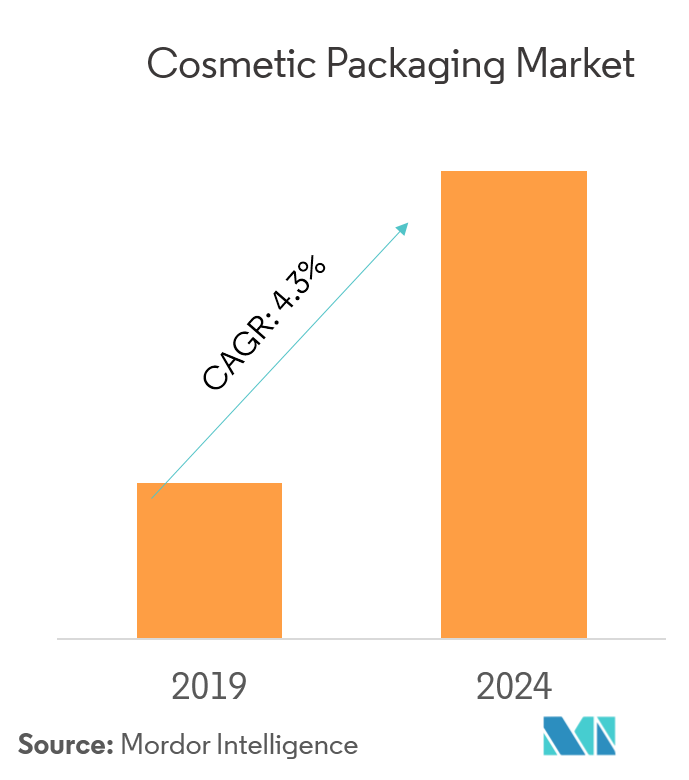 The increasing demand for cosmetic products in emerging countries and growing consumer awareness are driving the investments of companies that develop innovative packaging solutions. Therefore, a rise in the demand for cosmetic products is expected to boost the demand for packaging. While packaging improves safety, offers convenience, and reduces theft, it is also laced with several disadvantages. Packaging can be bulky, expensive, and environmentally damaging over the course of its life cycle. Further, the rising efforts for user-friendly packaging are leading to an increase in the cost of innovative cosmetic packaging. The term cosmetic packaging is used for cosmetic containers and secondary packaging of fragrances and cosmetic products. The primary aim of packaging is the protection of the product from all hazards it can be exposed to during transportation and handling. The role of packaging in cosmetics is not only the prime role of containing but also of enhancing aesthetics. Cosmetic manufacturers are providing enhanced value and experience to reach out to more customers by using caps and closures as a customizable extension of a package design identity. While they both preserve product integrity and facilitate a product’s use by consumers, packaging solution providers are pairing these caps with ergonomic designs to add to their current functions. Thus, the pairing of applicators and cosmetics' closures has also been witnessed amongst manufacturers. This development in the market has redefined time-to-market while simplifying projects and shortening lead time, which, in turn, makes the products and packages ready-to-go. There is a growing attraction for click and close caps to provide the audial assurance and satisfactory closure of the product. 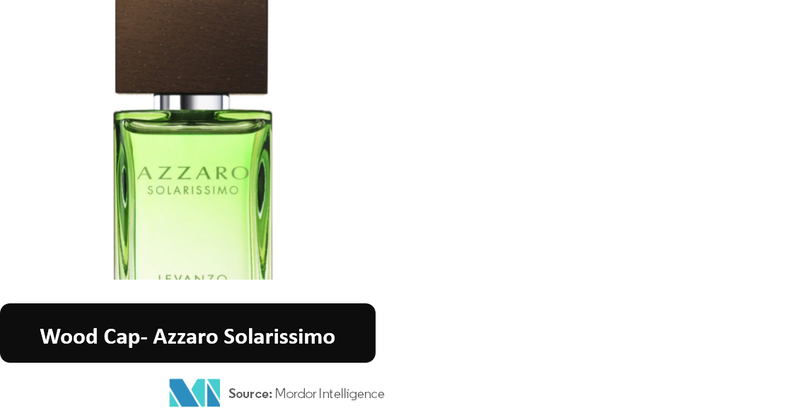 Thus, the market is witnessing a growing attraction for magnets in the closures, particularly in luxury skincare packaging. Increasing adoption of advanced technologies for cosmetic packaging and growing trends of skincare products are some of the significant factors driving market growth. Skincare products seem to be the biggest focus for consumers and retailers alike. The Korean Beauty product trend continues to influence the regional market, especially the Canadian market, as hydration products aimed at creating a dewy, luminous look continue to experience high popularity. The region also has many prominent vendors of cosmetic packaging, who are focusing on expanding. Instead of launching their own new brands, acquisitions, both local and global, have become part of their growth strategies. Many regional packaging vendors are also investing in R&D to innovate new technologies, oriented toward cosmetic products. The cosmetic packaging market is highly competitive. 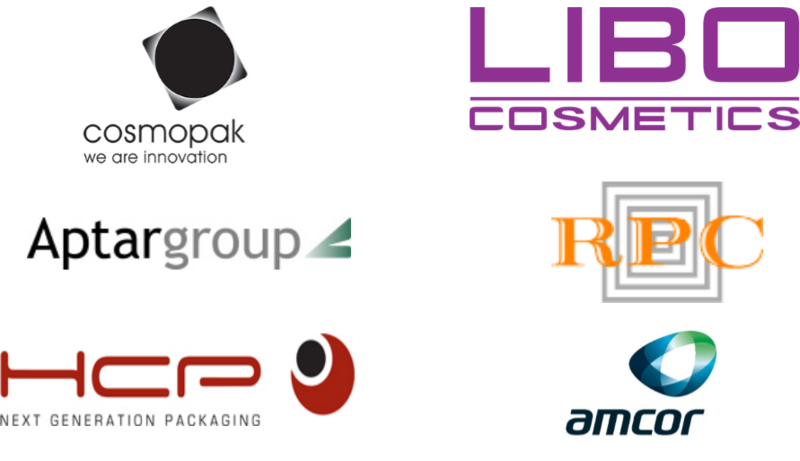 The cosmetic packaging industry comprises market incumbents, such as Amcor Limited, Brimar Packaging Inc., Libo Cosmetics, and The Packaging Company, among others, in addition to several regional firms and new entrants vying for attention, in an increasingly contested market space. 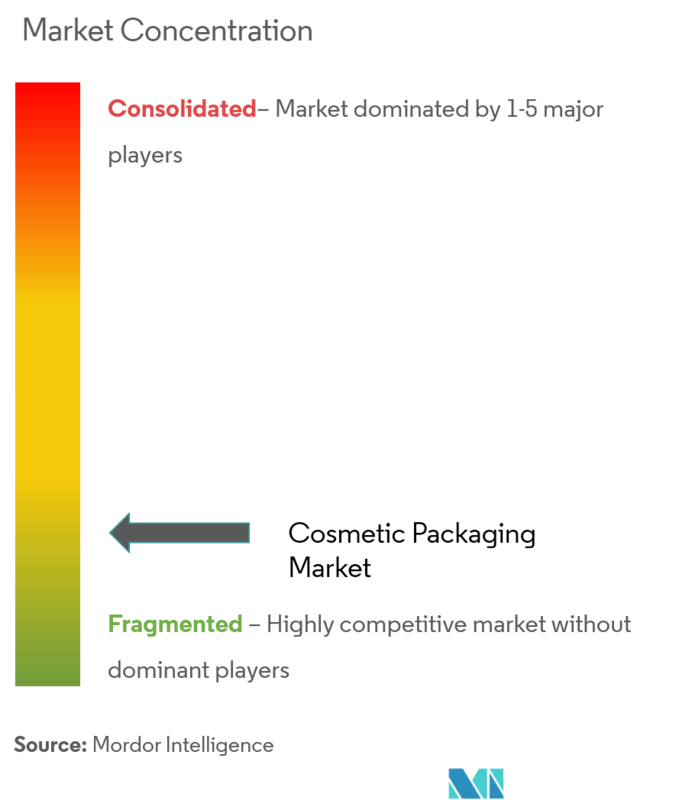 Moreover, sustainable competitive advantage can be gained through innovation (design, technology, and application) and partnerships. The cosmetic product companies are observed to be partnering with packaging companies, to enhance their products’ brand value, with efficient and attractive packaging. A case in point is that of the Silgan and Neopac partnership, which helped Silgan’s products to garner robust sales. Thus, companies are striving to innovate and expand through various strategies. RPC PET Power expanded its popular droplet squeezer range of bottles, which are ideal for several types of foods, such as honey, dressings, and sandwich spreads. The oval shape of the droplet squeezers offer a perfect fit in the hand, which are easy to squeeze and manipulate. Quadpack showcased its new solutions for makeup, fragrances, and skin care portfolios. This new addition to its existing product line is expected to help the company garner a larger market share. 6.1.4 HCP Packaging Co. Ltd.